At Rejuva Medical Aesthetics, we offer laser hair removal to people living in and around Los Angeles, Beverly Hills, and Brentwood, CA, to provide an easy and long-lasting hair removal solution. Laser hair removal is one of the easiest ways to achieve long-term hair reduction on the body. At Rejuva Medical Aesthetics, we use the Icon™ MaxR™ laser for hair removal, which is well suited for a variety of skin types and areas. Since laser hair removal is designed for both lighter and darker skin types, most patients looking for hair reduction are ideal candidates. These patients may be looking for hair removal on the chest, abdomen, legs or back. What Do I Need to Do to Prepare for Laser Hair Removal? 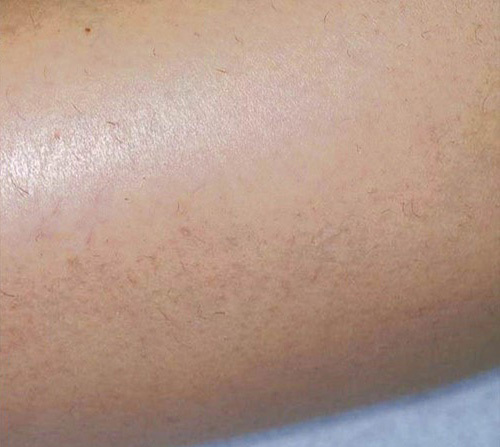 To prepare for laser hair removal, it is important to avoid plucking or waxing before your appointment. During your consultation, it may also be recommended that you shave and avoid direct sun exposure before your treatment. 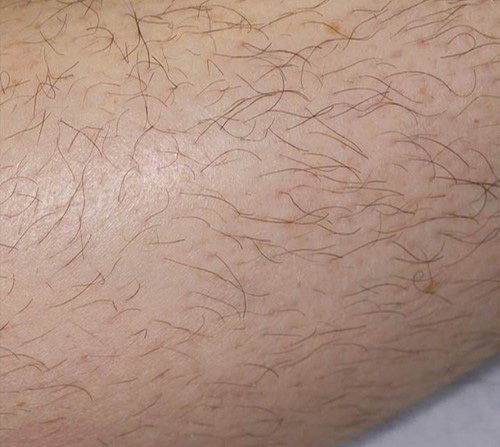 What Should I Expect on the Day of My Laser Hair Removal? During your laser hair removal treatment, the Icon™ MaxR™ laser device is placed on the body where hair removal is desired. The device delivers pulses of light energy that destroys the hairs and prevents them from growing back. This process may cause slight discomfort, although most patients find the procedure to be comfortable. Laser hair removal treatments typically last less than 30 minutes, but the time required varies depending on the size and number of areas treated. Laser hair removal treatments require no downtime, and patients can resume normal activities immediately following their appointment. Patients may experience swelling and redness similar to a sunburn for approximately two days after treatment. You can expect results after one treatment, although complete hair removal may require multiple treatments to achieve. Factors such as hair color and texture can also affect the visibility of your results. How Much Does Laser Hair Removal Cost in Los Angeles? The cost of laser hair removal can vary based on the area being treated and how many treatments are needed. It may also involve other treatments or procedures being done at the same time. During your consultation, we will review all of the costs along with payment and financing options. We accept cash, checks, and credit cards in addition to offering financing through CareCredit®. Patients looking for hair removal can trust Rejuva Medical Aesthetics, proudly serving Los Angeles, Beverly Hills, Brentwood and the surrounding California communities. Contact us today for a complimentary consultation!